Hunger is an issue we can and must solve to ensure the well-being of all Coloradans. 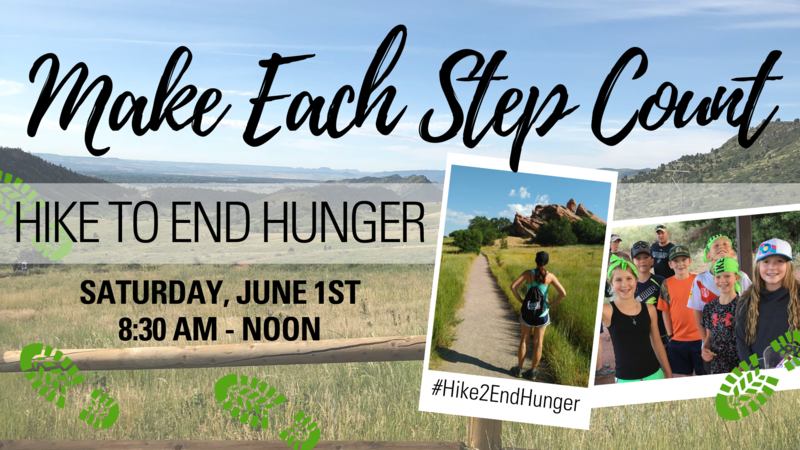 By hiking to end hunger, YOU can support Hunger Free Colorado and its mission to end hunger in our state! Join us on the trail and at D'Evelyn Jr-Sr High School for games, food, giveaways, music and family-friendly activities! Hunger Free Colorado is a statewide nonprofit organization that connects families and individuals to food resources and fuels change in systems, policies and social views, so no Coloradan goes hungry.